Not according to Miranda Workman. Workman is the Lead Trainer Mentor and Program Developer for the Jackson Galaxy Project’s Cat Pawsitive initiative. With a Master’s degree in Anthozoology and an extensive background in animal behavioral work, Workman brings a wealth of experience with and knowledge about the science behind and benefits to training cats to the Cat Pawsitive initiative. The Cat Pawsitive Initiative is a program from the Jackson Galaxy Project, a GreaterGood.org Signature Program. Jackson Galaxy, best known for his Animal Planet TV show “My Cat From Hell,” along with animal behavior experts such as Workman, developed the Cat Pawsitive Program to provide enrichment to and improve adoptability for shelter cats. The program aids senior, disabled, and other difficult-to-adopt groups of cats by partnering with rescue groups and local shelters to provide behavior-focused help that builds confidence. 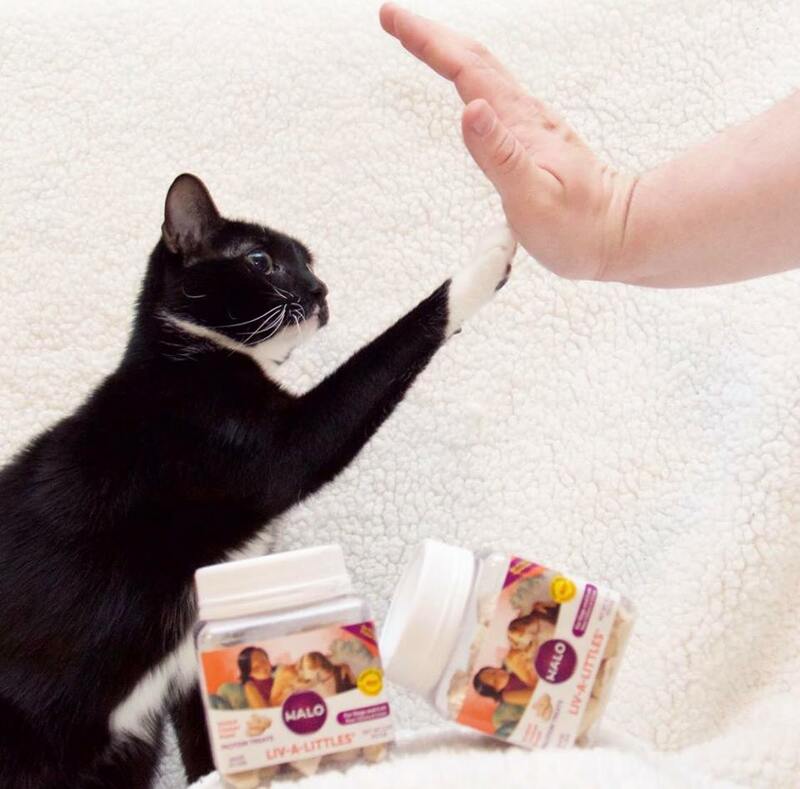 For already confident cats, the program provides physical activity, stimulation, and the opportunity to learn behaviors such as giving a “high five” to potential adopters. Trainer Mentors provide guidance to shelters and rescue groups, providing train-the-trainer sessions on positive-reinforcement clicker training, marketing materials celebrating Cat Pawsitive cats who are adopted, and access to feline behavioral experts. How can training cats in shelters help them? In a word, it is “transformational,” says Workman. Last year, Workman saw this transformation come for a shy, older gray cat named Dorian. Dorian was terrified of his shelter environment and responded the only way that he knew – hissing and swiping at people from the back of his cage. Slowly, he was encouraged to come forward in his cage with treats as a reward. A cat who could hardly inch forward in his cage grew bolder to stick his head inside of a treat bag – then was caught, to the delight of his trainers, playing outside of his cage. From there, Dorian flourished. The trainers found that he liked being petted, getting face rubs, and even spending time with other cats. Without consistent, positive reinforcement-based training to coax him out of his shell, Dorian’s true personality could have remained hidden behind the fear he felt in the shelter environment. For older cats with longer lengths of stay, Workman says training like Dorian experienced gives people “a reason to look past age and see the cat.” For cats like Dorian, training is not a gimmick – it’s a life line. In the shelter environment, Workman says “choices are limited” for cats. Training allows them “to be able to choose level, intensity, and length [of time]” of the activity – “empowering them.” They set the pace and trainers take their cues from each individual cat, pushing them to the boundaries of their comfort zones in a safe and managed environment. “There’s so much unexplored space between humans and cats,” Workman says. Workman considers the training to be empowering to both the trainer and the cat trainee. “Training allows cats to show what they are capable of… [it’s] a way to communicate that gives them the opportunity to blossom.” For the trainer, the sessions are an additional tool at a rescue’s disposal for increasing the mental and emotional welfare of animals in their care, providing an enriched environment and physical activity, and increasing adoptability. How does positive-reinforcement based clicker training work? · Select a “primary reinforcer” – a treat that your cat enjoys and will motivate them. This can be a food-based treat or a reward of petting or brushing – whatever the cat best responds to. · Select a “secondary reinforcer” – an object that pairs with the reward, such as a clicker or making a clicking noise with your mouth or fingers. · Introduce your cat to the primary and secondary reinforcers – click and then give your cat a treat. · Repeat this until the cat begins to associate the click with the treat – Krieger recommends between 5-20 repetitions. · Once this association is established, select either appropriate behaviors to reward (using the scratching post) or a targeted behavior to learn (a high five, turning around or sitting). · Click at the same time as the behavior you want to reinforce is performed, then provide the reward. I have been a trainer for the last 4 months and seen the training work time after time. It takes a while sometimes but once that light bulb goes off they are adopted soon after!